It is made of wool felt (CREAM WHITE). Leather is BROWN and laces are DARK BROWN. 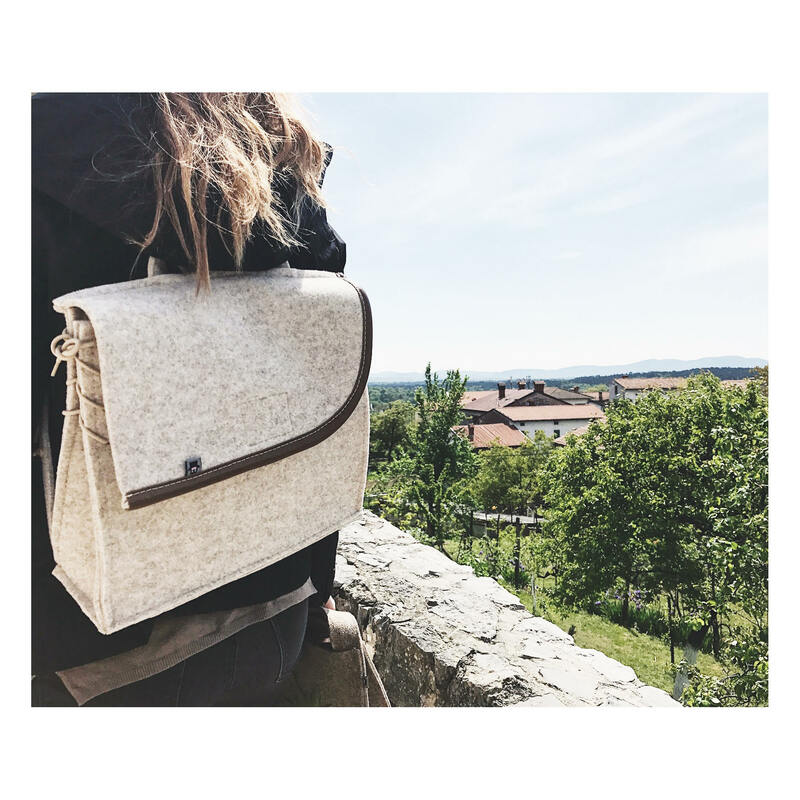 WHAT MAKES OUR BACKPACKS UNIQUE? 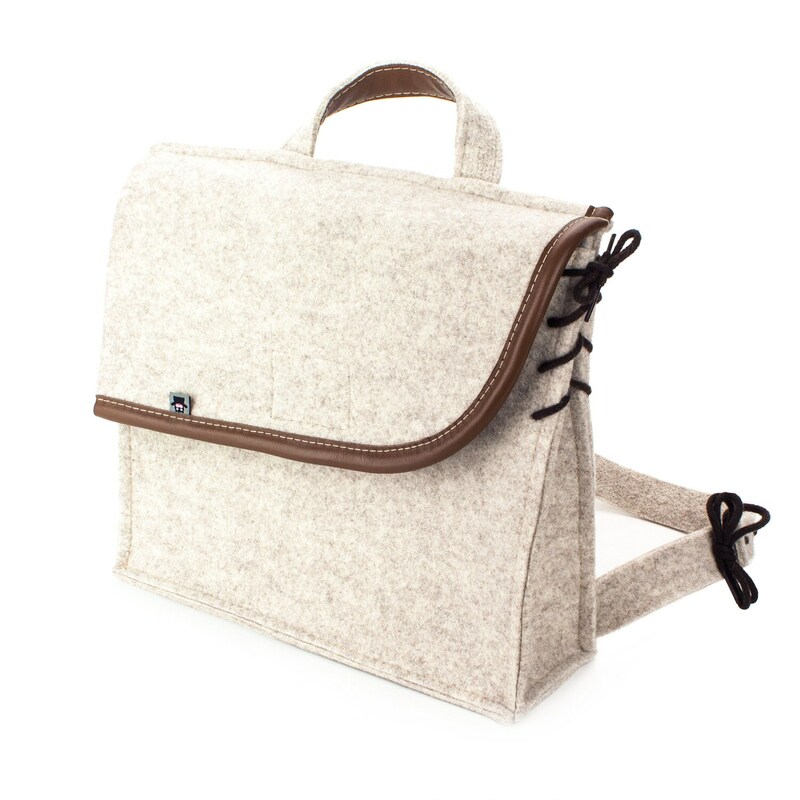 Our backpacks are made of 5 mm thick wool felt. Their critical parts are reinforced with leather. Backpacks are very light and have no breakable plastic parts. Laces on both sides of the backpack allow adjusting its size. Another pair of laces is also used for adjusting shoulder straps. 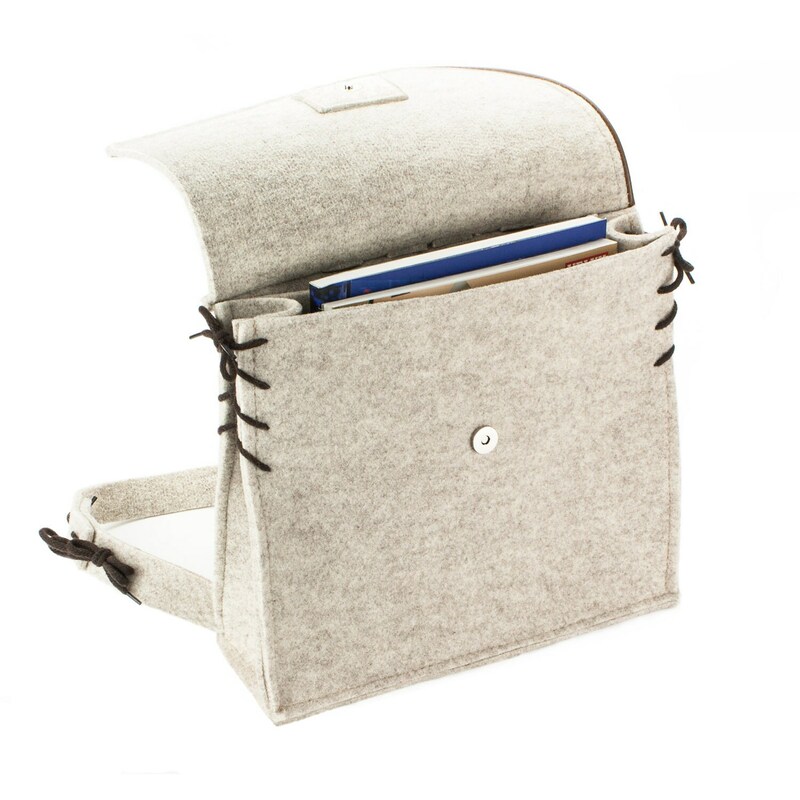 The front flap of the backpack fastens with a magnetic snap. 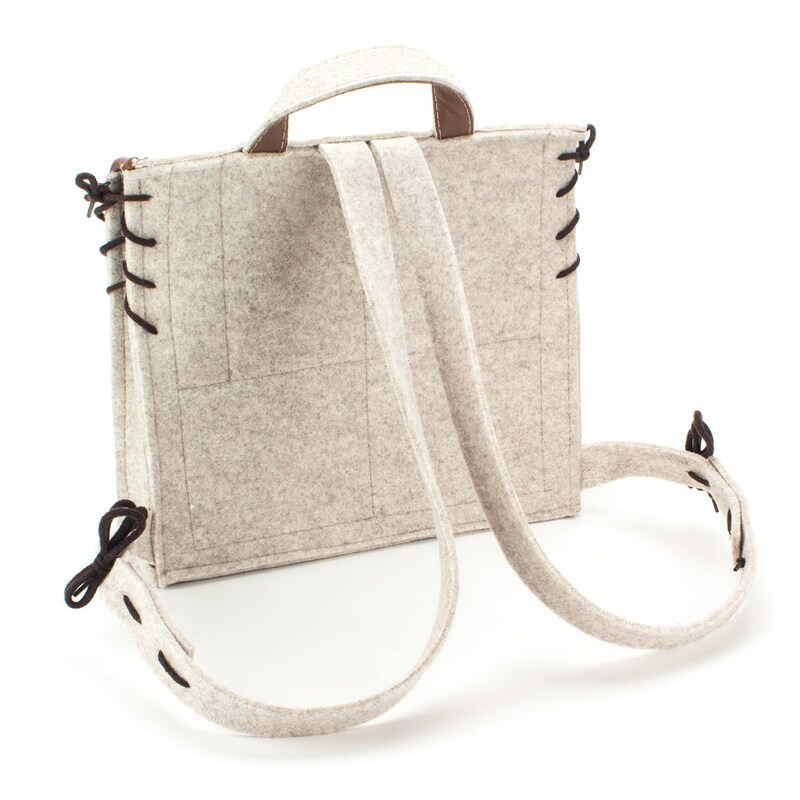 The bottom of the backpack has two layers of felt to double protect all your personal belongings. 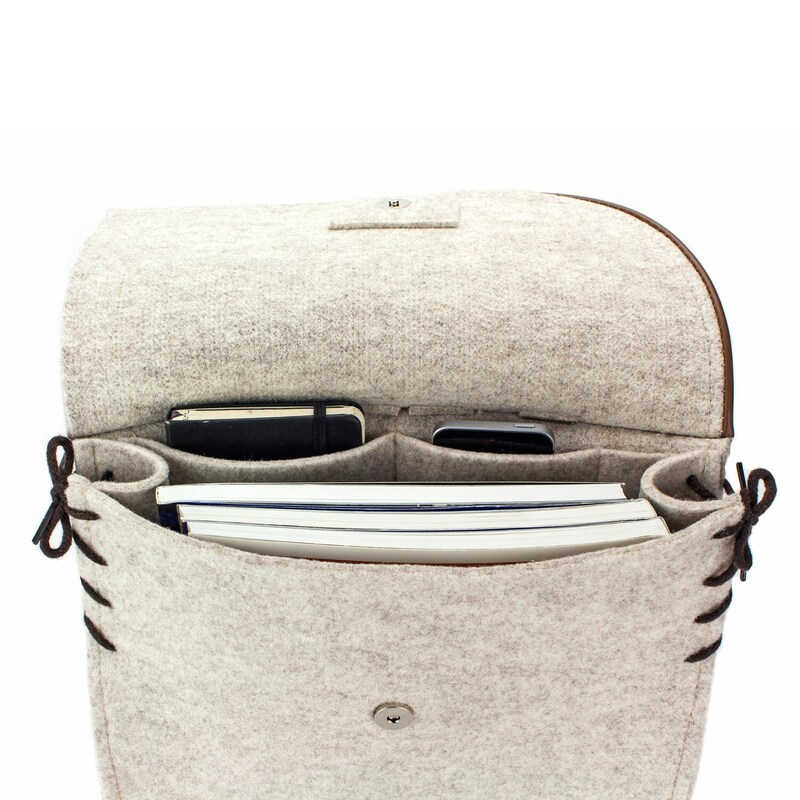 It has a large central storage area as well as two separate pockets for smartphone and other small items. The backpack has adjustable shoulder straps. • Adjustable shoulder straps (with durable laces). • Two additional pockets for smartphone and other small items. Want to add a custom touch? You can choose between different felt, leather and laces colours. Request a custom order or contact us if you have any other questions.